Join more than 1 million people at Brooklyn's largest street festival this Sunday from 12PM-6PM. On Atlantic Avenue (from 4th Avenue in Boerum Hill to Hicks Street in Brooklyn Heights) the 2012 Atlantic Antic will feature ten live music stages + hundreds of vendors, pony rides, and a smorgasbord of national and international edible delights. Click here for more info. 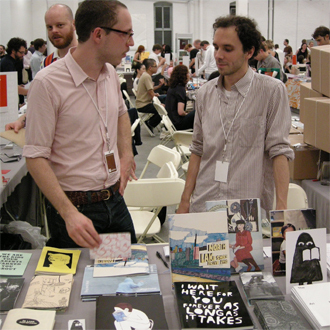 Swing by Moma PS1 for The NY Art Book Fair this evening from 6PM-9PM. More than 280 international booksellers, antiquarian dealers, artists, and publishers will be on hand. There will be book signings, performances, art exhibits and much more! The fair runs through Sunday. Now through Saturday swing by Soho Photo (15 White Street) and check out Broadway Behind The Curtain -- an exhibit featuring candid portrayals of Broadway and Hollywood stars including Elizabeth Taylor, Kevin Kline, and Glenn Close. Mad. Sq. Eats is a month-long gathering of some of New York's best food vendors in Worth Square (just west of Madison Square Park). Open daily from 11AM-9PM now through October 19th, you might just find bites from spots like Roberta's, Calexico, Sigmund Pretzelshop, and Stuffed Artisan Cannolis! Tomorrow is your last chance this year to experience free yoga sessions at Bryant Park. From 10AM-11AM, an expert instructor will lead yogis of all levels + mats are provided free of charge! The baseball playoff race is heating up, just as the NFL is getting underway. 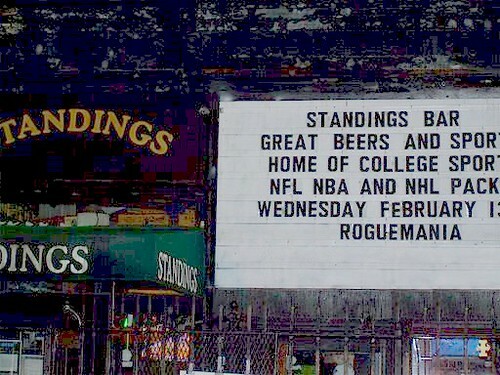 Which is a perfect time to give a shout out to one of our favorite sports bars: Standings (43 East 7th Street). Swing by tonight and every Friday evening at 8PM for free pizza. Stay for a beer and take in a game while you're at it. The Tippler (425 West 15th Street) is one of our favorite cocktail bars. And now through Friday they're serving up $1 cocktails from 4PM-7PM in celebration of their one year anniversary. You don't want to miss this deal. Today is National Talk Like A Pirate Day. Arrrrrrrrrren't you glad to know? Walk into any Krispy Kreme location today and talk like a pirate and you'll be treated to a free glazed donut. Dress in full pirate gear and you'll get a dozen donuts. A store locator can be found here. One of our favorite free bar snacks are handed out at The Belgian Room (125 St. Marks Place) on Tuesday and Thursday from 8PM-11PM. Just purchase a drink and score free Pommes Frite. Yum! 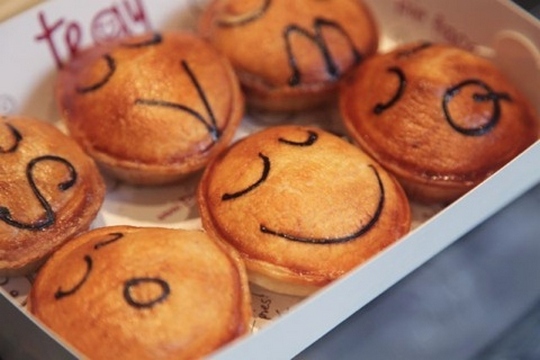 Australian chain Pie Face is opening up a new location at 507A 3rd Avenue in Murray Hill tomorrow and you can swing by from 12PM-2PM and 6PM-8PM for... free pies! Swing by the Museum of the Moving Image in Astoria for free this evening (and every Friday) from 4PM - 8PM. 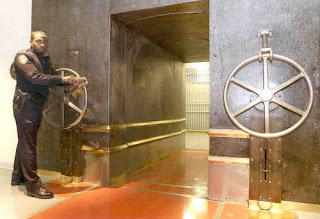 Our economy might be up in flames, but Monday-Friday you can take free 45-minute tours of the Federal Reserve (33 Liberty Street). 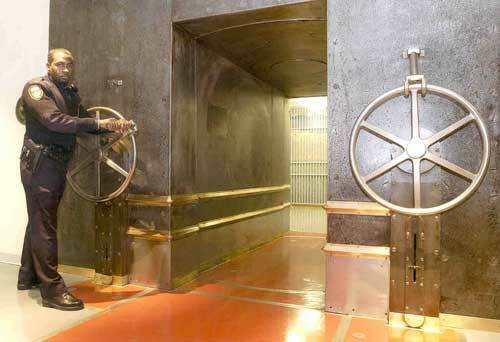 Six tours are given daily between 11:15AM and 4:00PM. Click here for more information and to reserve you spot. Uber -- a mobile startup that enables you on-demand request for a private driver -- is giving away free taxi rides in Manhattan today and tomorrow for up to $25. 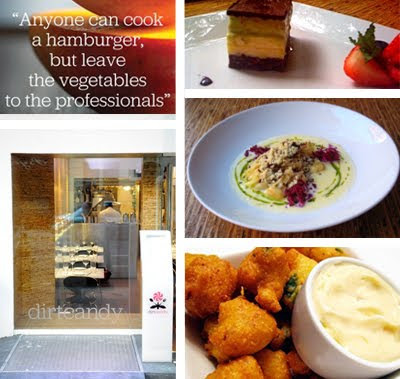 The folks behind one of our favorite restaurants in NYC - Dirt Candy - are releasing their first ever cookbook. And it just so happens to be a comic cookbook! Celebrate the launch this evening at Bookstore Cafe (126 Crosby Street) starting at 7PM. There will be dramatic readings of recipes, free booze, and lots of free Dirt Candy food. Drink coffee? 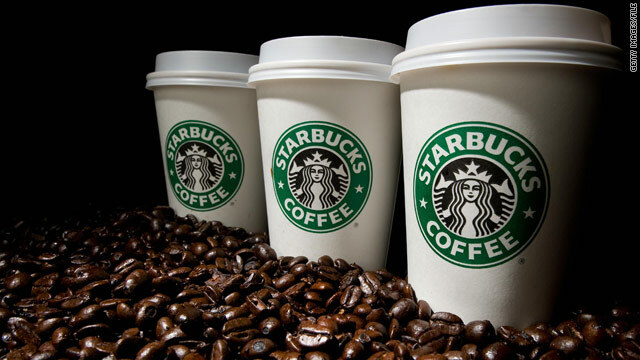 Love Starbucks? Today LivingSocial has a great deal -- get a $10 gift card for just $5. It's practically senseless not to take advantage of that! Click here for more info. Tomorrow evening, No Doubt and Mariah Carey will kick off the NFL season with performances at Rockefeller Center. Get there early to stake out a spot for the show, which will be simulcast on television starting at 7:30PM. Are you ready for some football? Take the free ferry over to Governors Island this weekend. And if you go on Monday, head to the bike station where you can pick up a free rental for up to one hour.